It is a spasmodic affection of the respiratory apparatus, in which the chest is fixed in the position of full inspiration and the expiration impeded. The spasms is reflex in nature—the source of irritation being either the nasal mucous membrane, or the alimentary tract, etc. It is most often hereditary. The attack comes on usually at night, in the midst of sleep, and the patient has to sit up and gasp for breathe. He feels hot (even in mid-winter), breaks out into perspiration and has intense air-hunger. In some cases profuse expectoration occurs and the patient gets relief. Blatta Orientalis Ө-3x. Should be used at the commencement and especially in malarious cases. Acid Hydrocyan. 3—In acute attacks. Ipecac. 3x-6—Sense of constriction in chest; quickened breathing; rattling or wheezing noise; chilliness; blueness of whole body, especially of the face; restlessness; nausea; useless cough. Ars. 3, 6,12, 30—Difficulty of breathing on account of congestion of lungs; wheezing, aggravated by movements; burning sensation in chest and cold sweat. When Ipecac has failed wholly or partially, use Lobelia Ө-3— (Cuts short an attack, given at the start). A sense of depression from chest to abdomen; nausea or vomiting; a sense of foreign body in the stomach. Senega Ө— (Given in 5-6 drop doses if Ipecac, Ars. or Lobelia have failed). Cough at first dry then attended with profuse expectoration and wheezing sound in the chest and pain or sense of constriction of chest; constant cough with sense of suffocation; rattling noise in the chest; loss of voice; aggravation of symptoms during rest or walking in open air; amelioration of symptoms on breaking out of sweats or on lowering the head. Aconite 3-30—Anxiety with onset of spasm; difficulty of breathing; slow cardiac action. Cuprum Met. 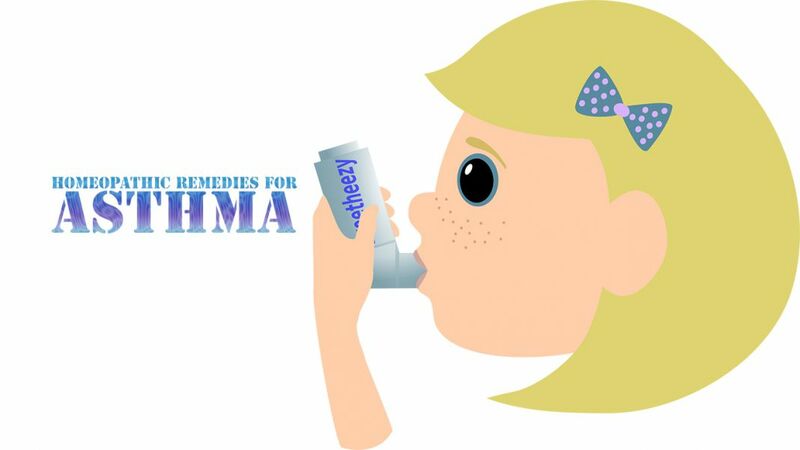 6 (in nervous asthma): —Fits and spasm; vomiting follows spasm. Kali Hydro. 6—Repeated sneezing; liquid mucus runs from the nose; difficulty of breathing (useful in rheumatic and syphilitic cases). Nux Vomica 6- 30—Intense anxiety, pain behind breast-bones; relief of spasm after profuse expectoration; tongue coated deep yellow at the cessation of spasm; constipation; acidity. Veratrum Viride 3 —Cold sweat on face; nausea or vomiting; spasmodic breathing. Sulphur 6-30—Chronic asthma or rheumatic or other constitutionally affected patients. Bacillinum 30,200— Once a week; suits certain constitutions. Try also—Natrum Sulph 3, Kali Carb. 6, Bell. 3x, Ambra Grisea 6x, Drosera 3x, Hepar 6, Lachesis 6, Antim Tart. 6, Sambucus 1x, Lyco. 12, Spongia 3. An asthamatic may smoke Stramonium cigarettes at the onset of a fit. He should bathe daily and never go to bed on full stomach. A change of climate or a change of scene is sometimes beneficial.